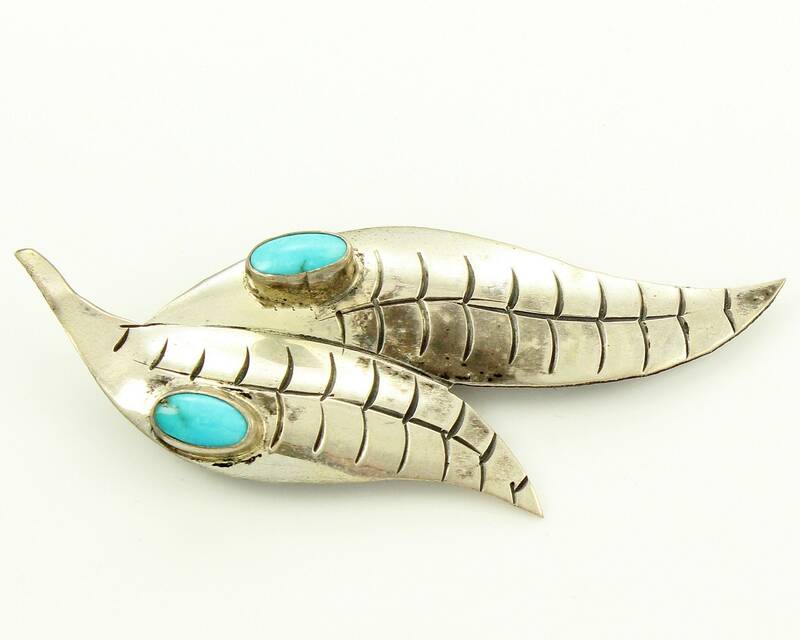 Vintage Elliot Koinva Hopi Sterling Silver Turquoise Double Feather or Leaf Brooch. 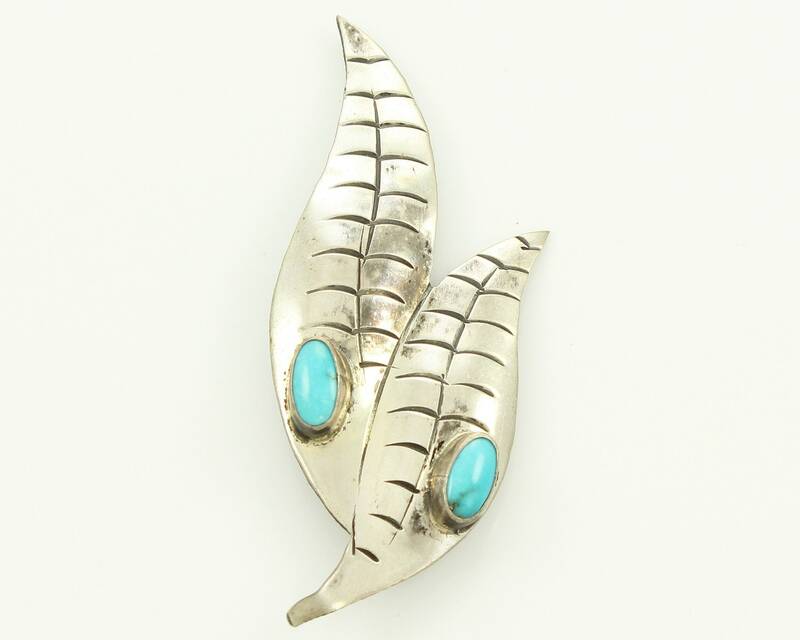 This New Old Stock brooch in the form of two feathers or leaves is accented with two oval cabochons of turquoise. 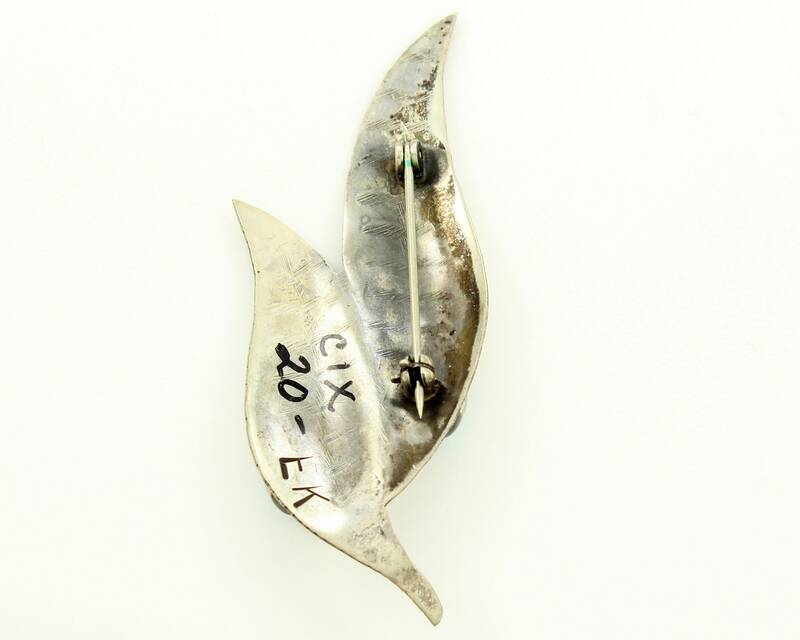 Each stone is set in a plain bezel and measures approximately 5.s mm x 9.5 mm. 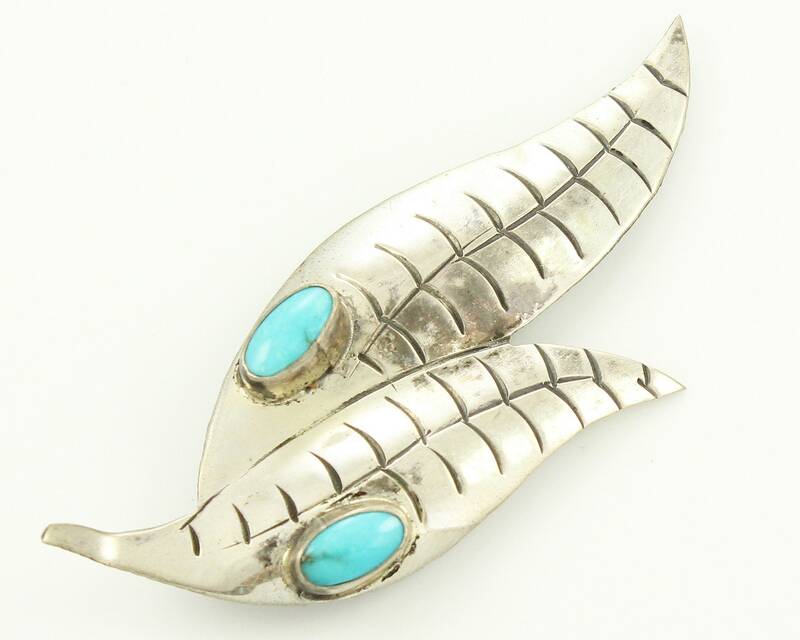 The pin measures 2 3/4 inches long at the widest and 1 1/8 inches wide. 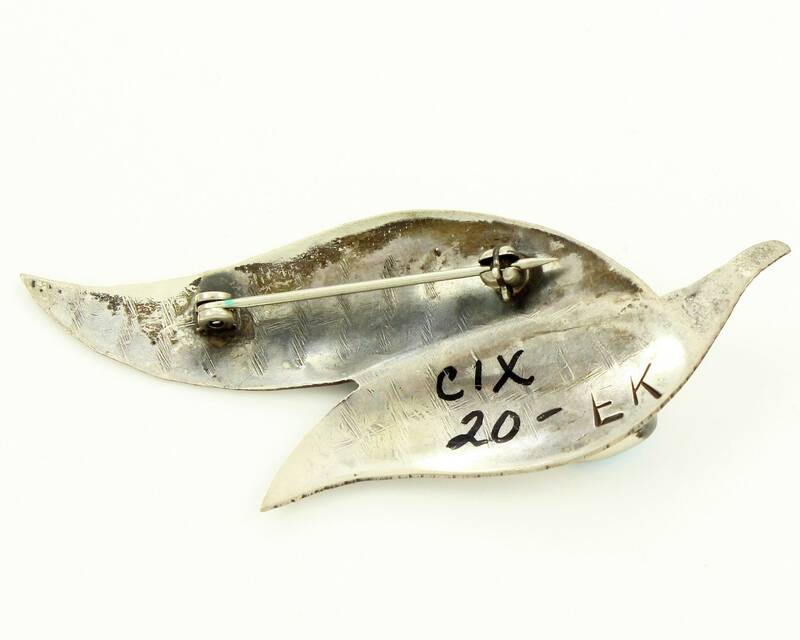 It is finished with a pin stem with roll over safety. Stamped EK with the Elliot Koinva maker's mark. MEASUREMENTS: 2 3/4" long and 1 1/8" wide.